Resident Evil 2 If you can brave its shortcomings, Resident Evil 2 is good, scary fun. Resident Evil 2 begins shortly after the first one ended. Raccoon City has been overrun by the zombies created by the unscrupulous Umbrella corporation. 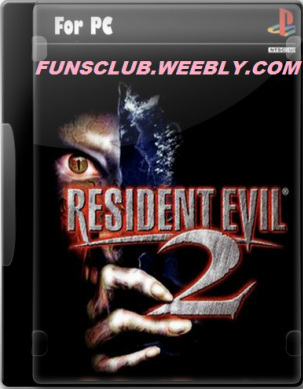 While the heroes of the first game are absent from the story-driven portion of Resident Evil 2, www.Funsclub.weebly.com you still have your choice of two characters. Actually, it isn't much of a choice. To finish the game, you must play through each section as both characters. The music is appropriately creepy, with sad piano music floating in and out of the game. The other sound effects don't fare as well. The groaning of zombies is creepy at first, but over time it becomes tedious and repetitive. The voice-overs are terrible, www.Funslcub.weebly.com though they seem appropriate in the B-movie setting.